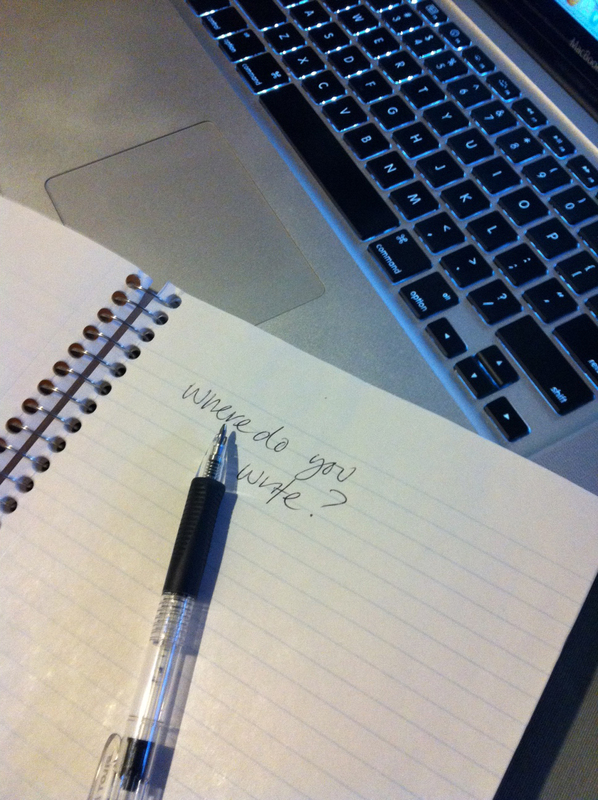 Do you write? If you said yes, then I want to know where. Do you use a laptop in your backyard? A notebook at the coffee shop? A desktop computer in your office? We were talking about this last week at my new Writer’s Group. One of our members mentioned an article he read that said writing by hand allows the emotions to flow easier than on a keyboard. Huh. That got me thinking. And it made my pull out my notebook. I think he’s on to something. So, tell me, I want to know, where do you write? And do you think a pen opens you up? All of my posts usually start out as a draft in my notebook which I take everywhere – well – almost everywhere. I have a couple of them – easiest way not to lose my train of thought & to hold onto the inspiration.